Weight loss is a multi-billion-dollar industry in the US. Hundreds of companies are banking on the fact that most people would like to see a smaller number on the scale, and they’d like to see it quickly, please. 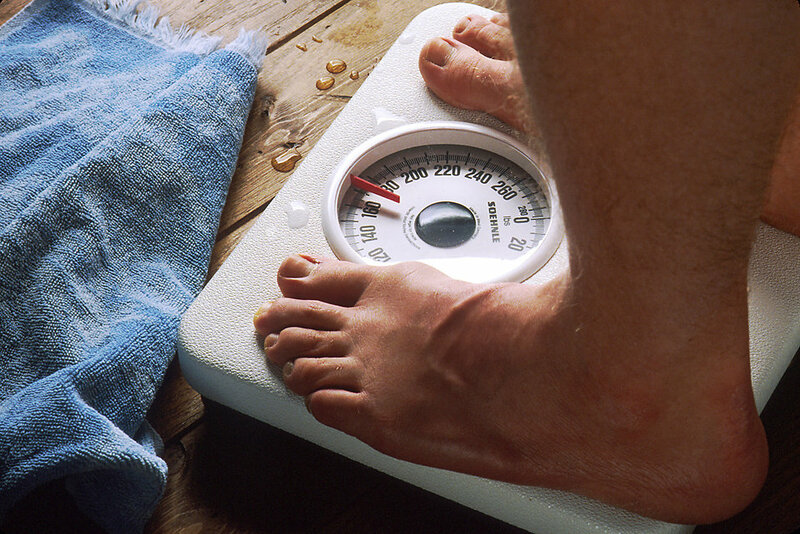 Our culture tells us that extra pounds are something to be loathed. Excess weight is a malignancy that must be excised. That number on the scale is the enemy, and if you can just reduce it down to some other arbitrary number then everything will be okay. People will love you. You’ll love yourself. You’ll get that raise, you’ll get that guy or girl, you’ll make everyone at the beach or the gym or your high school reunion green with envy. But these companies also are betting that once you lose the weight by following their restrictive diet plans and exhausting fitness routines, you’ll gain it back. Why do so many of them offer lifetime memberships? Or repeat customer benefits? Or sell their shakes/pills/powders by the case at warehouse grocery stores? It’s because they know the truth: that maintaining optimal weight comes as a result of getting healthy — balancing blood sugar and hormones, reducing inflammation, clearing up systemic infections and/or fungal proliferation, bringing the body’s microbiome systems into balance, restoring the integrity of the gut lining and the vascular endothelium, eradicating toxins, and a host of other things that can throw the body out of balance and cause it to hang on to extra weight, or to require medications that have weight gain as a side effect. But they can’t sell you that. So instead they sell you restriction, deprivation, starvation and exhaustion. All of those things will, indeed, cause you to drop weight in the short term. Over the long term, even if they stick with the program, many people will plateau because the body has had enough. It flips into survival mode and in order to keep you alive, it starts to hang onto all the resources it can, which results in stalled weight loss. Most people, though, will stop before they get to that point. They’ll realize they just can’t keep up with a restrictive diet and/or exhausting fitness routine. Their bodies will rebel. And they’ll go back to their old way of eating/moving and gain all the weight back (plus a little extra for their trouble). This is the unfortunate result, more often than not, of focusing solely on weight loss without giving attention to health. What’s the alternative? Focus on gaining health. A functional medicine practitioner can diagnose and treat any underlying issues, and that coupled with a diet rich in fresh vegetables, fruits and healthy fats and proteins, along with a balance of movement and rest that works for your body, can set you on the path to reaching and maintaining not only your optimal weight, but your optimal health as well. It’s not a quick fix by any measure, but the result is a lifetime of looking and feeling better, and that’s a lifetime membership worth opting into. ← What are your cravings trying to tell you?